Psy has released his new single, Gentleman, last Saturday and with the popularity of Gangnam Style, we all look forward to another music video from the creator of the famous horse dance we all have grown to love (and hate). Well, good news awaits as the new single is accompanied by a music video incorporating another new ‘unique’ dance move. 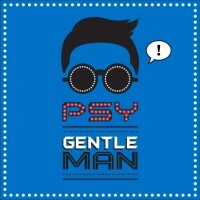 Gentleman has Psy walking about playing tricks on women he meets and making the title ‘gentleman’ a complete irony. At every chorus, he breaks out into a hip-swaying dance move complemented by numerous female dancers. Hand actions vary from time to time but include hip swaying with folded arms pose and hip swaying with a hand-to-chin thinking pose. As usual, those of us who don’t speak Korean might end up in a muddle trying to decipher what the whole video means. In fact, if you do a cross-comparison with the lyrics, you’ll find that it turns out to be some random rumblings when putting it into the context of the video. Of course, we don’t love Psy’s videos and songs for their deep-hard-to-grasp meanings and Shakespeare-style literature, we just enjoy their catchy tune and funny dances. Gentleman has managed to reach 50 million views in 48 hours and is currently at 58,474,746 views and counting. It has broken all records for views within 24 hours. With all the competition it faces from other viral sensations such as Harlem Shake and Gwiyomi, the question remains: will this be the next Gangnam Style?